Huddersfield lost 3-0 at home to Man City on Sunday without a manager in the dugout, following David Wagner’s departure last week. 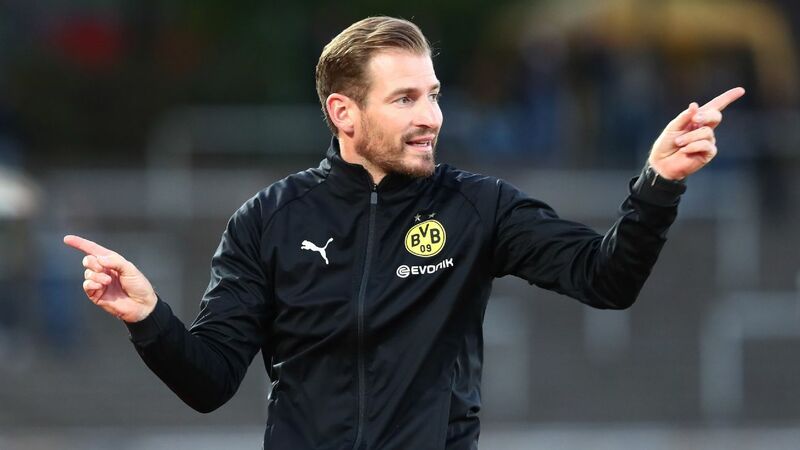 By all accounts Jan Siewert, head coach of Borussia Dortmund’s second string, was being lined up by the Terriers to step into Wagner’s wake. And word quickly spread that Siewart was in the crowd to watch his new side take on City at the John Smiths’ Stadium, which sparked a race among the attending media outlets to spot him up in the terraces. Sky Sports even sent a reporter to ask the fan directly if he was indeed Mr Siewart, only to quickly discover that he was not. In fact, he was just a spectator — Martin Warhurst from Wakefield. 🤦‍♂️@skysports_PatD thought he had found Jan Siewert, the bookies favourite for the #HTAFC job, in the John Smith’s stands…. Regardless, the case of mistaken identity saw Warhurst briefly attain a modicum of celebrity in his own right. Enough, in fact, to earn himself a starring role in Huddersfield’s announcement of their new manager when they did eventually hire Siewert on Monday. The charity manager was also asked if he had any tactical advice for the incoming Huddersfield coach having watched the team get dismantled by Pep Guardiola’s charges. Well if Siewart fails, Huddersfield can always turn to Wakefield for a replacement.